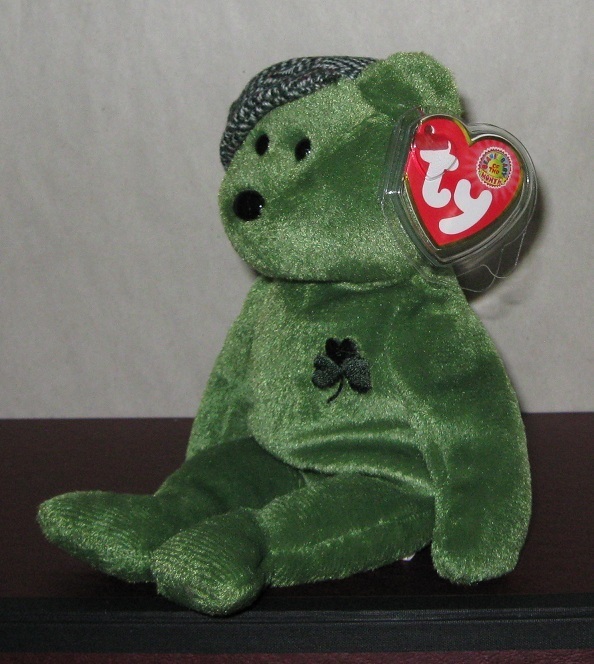 Beanie Babies of the Month was a program by Ty that started with it’s first release in January 2003. 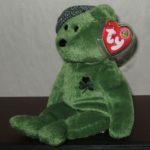 People would sign up on the Ty website for $60 a year and receive one Beanie Baby per month for 12 months. For $5 per Beanie (plus shipping and handling) it worked out to be a pretty good deal. Membership to the BBOM club was somewhat limited, but many of the toys were produced. BBOM were only available through the club on the Ty website. You could also get acrylic cases for your BBOM through the program. They were an extra $36.00 per year ($3 per Beanie) and you had to pay some extra shipping charges. Many of the BBOM do not hold much value in the current market. The most valuable BBOM appears to be the Lots O’ Luck Irish Bear that can sell for over $20. Many of the other BBOM are not even worth the original price of $5 + shipping.